It’s been a massive week for Territory musicians making waves on the national stage. The crew from Skinnyfish Music have their names all over the ARIA Awards this year, with nominations for everything from the cover art to production for Dr G Yunupingu’s album Djarimirri (Child of the Rainbow). The beloved Elcho Island singer’s album has been nominated for four ARIAs, recognising the team effort that went into its creation and the lasting legacy of the late music icon who died in 2017. Michael Hohnen is up for Producer of the Year for his work on Djarimirri, Ted Howard, Robin Mai and Matthew Cunliffe are nominated for Engineer of the Year and Caiti Baker is in the running for Best Cover Art for the album, which is also a finalist in the Best World Music Album category. “At moments like this, we really miss G and know how much he would've loved hanging in the office hearing this news,” the team shared on Facebook. ARIA Award winners will be announced on November 28. Earlier this week the National Live Music Award (NLMA) nominations were also announced, with more good news for all-rounder Caiti Baker, who is up for four awards, including two national awards for Live R&B or Soul Artist of the Year and Live Voice of the Year, plus two NT awards. Baker Boy made his debut in the NLMA list with five nominations, including Live Act of the Year and Best New Act. The NLMA began three years ago to recognise Australia's diverse and successful live music industry, which is a major part of many local musicians’ craft. The award ceremony will be held concurrently in all jurisdictions on December 6. Head to the ARIA Awards and NLMA websites for a full list of nominations. 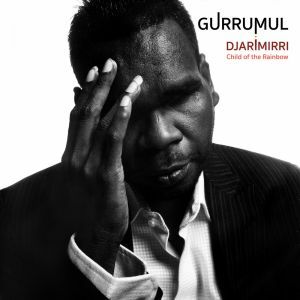 Top image credit: Gurrumul - Djarimirri. Bottom photo by Jett Street.